WINNING NOTIFICATION / FINAL NOTICE....CONGRATULATIONS!!!! This is to inform you of the release of the E-MAIL LOTTERY BALLOT INTERNATIONAL/ WORLD GAMING BOARD held on the 28TH of OCTOBER,2006. Due to the mix up of number,the results were released on the 11th of NOVEMBER,2006. 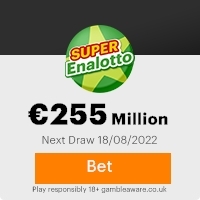 Your name attached to ticket number 219028657434 with serial number 918735625 drew the lucky numbers of 21-70-81-82-55 which consequently won the lottery in the 1st category. You have therefore been approved for a lump sum payout of �2,500,000.00 (TWO MILLION FIVE HUNDRED THOUSAND BRITISH POUNDS) in cash which is deposited with a Finance & Security Company in your favour as beneficiary and covered with HIGH INSURANCE POLICY. Due to mix up of some numbers and names and for the sake of impostors,we ask that you keep your winning information confidential until your claims has been processed and your money remitted to you. This is part of our security protocol to avoid double claiming and unwarranted abuse of this program by some participants. All participants were selected through a computer ballot system drawn from only Microsoft users from over 20,000.00 companies and 3,000,000 individual email addresses and names from all over the world. Note that all winners must claim there win not later than Two weeks after the receipt of this message. After this date all unclaimed funds will be included in the next stake. WE KNOW THAT THERE ARE SO MANY FALSE LOTTERY COMPANY BUT BE ASSURED THAT WE WILL PROTECT YOUR INTEREST AND LEAD YOU THROUGH. This Email with the Subject "FROM THE OFFICE OF THE VICE PRESIDENT" was received in one of Scamdex's honeypot email accounts on Sat, 18 Nov 2006 11:07:35 -0800 and has been classified as a Generic Scam Email. The sender shows as "ericmottisfort"<ericmottisfort@myway.com>, although that address was probably spoofed. We recommend that you do not attempt to contact any persons or organizations referenced in this email, as you may expose yourself to scammers and, at the very least, you will be added to their email address lists for spam purposes.